The name, ‘Auld Reekie’ not only refers to Edinburgh’s historic problem with a certain bad odour created by bad sanitation. But also, the noxious smog that hung over the city created by household coal fires and the beginning of Edinburgh’s steam powered industries. 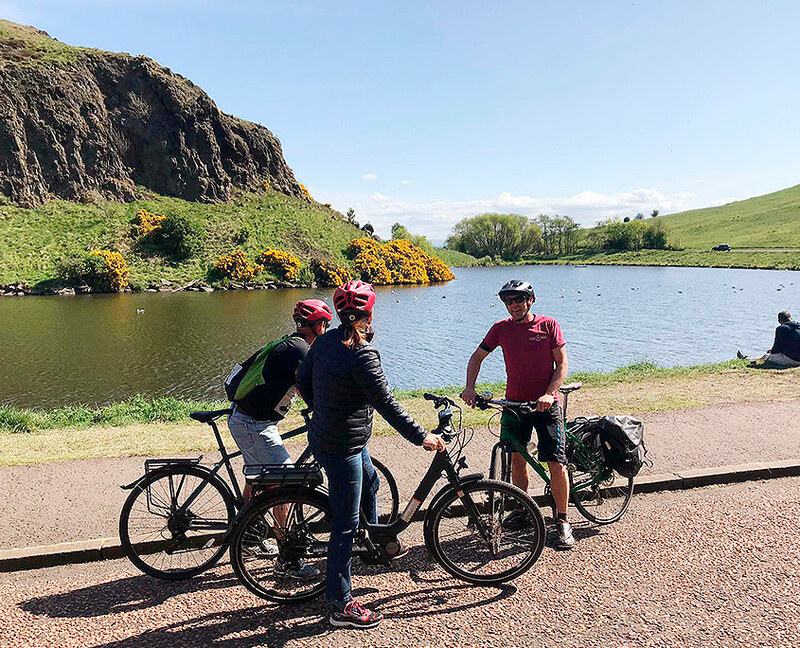 Our Auld Reekie bike tour utilizes the route of Edinburgh’s ancient transport network to navigate much of the city. Many of the railways and waterways which were once used in the transportation of raw materials to the factories to finished products being exported around the globe, have since been converted into shared cycle paths. This subterranean system of almost traffic free routes offer us an insight into Edinburgh’s industrious heritage. 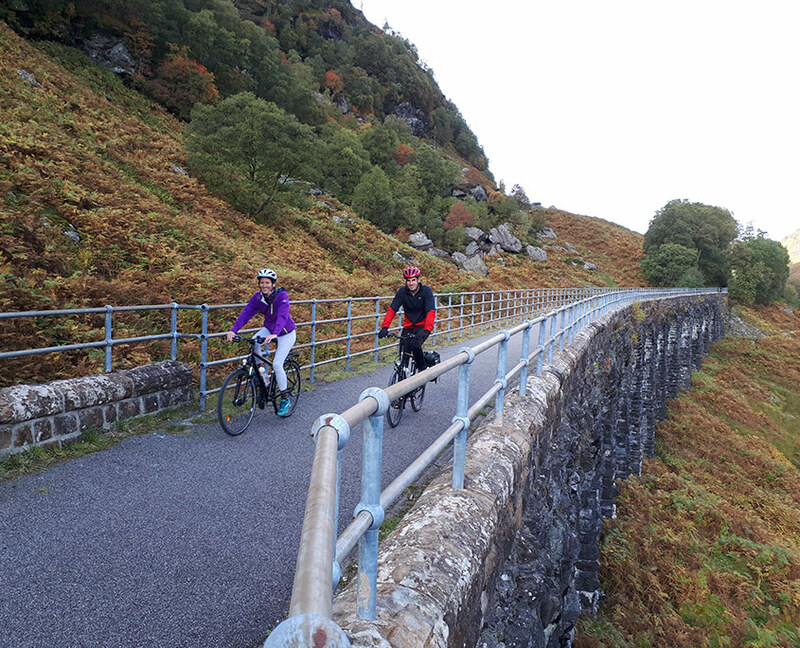 Our Freedom bike tour is the ideal day out for cyclists who really want to get out into nature and be at one with some of Scotland’s most spectacular scenery. Our route takes us through the Loch Lomond and Trossachs National Park. Famous for its mountains, lochs and ancient forest, its hard not to be inspired by some of the most stunning Highland landscapes in the country. No wonder why this is considered to be one of the most scenic cycle routes in Scotland. Named after one of Scotland’s most famous sons, Billy Connolly aka ‘The Big Yin’ (The Big One). Comedian, Musician, Actor, Adventurer, Artist and above all, a Cyclist, Billy is as diverse as he is passionate about his Scottish roots. In his honour, we’ve created, what we believe to be the ultimate cycling adventure. By combining the highlights of our ever popular ‘Bridges’ and ‘Sky to Sea’ tours, and throwing in additional must-see sites. From the tranquillity of the countryside with stately homes and castles, to a cycle up a volcano and over one of the most famous bridges in the world. All this, plus a ride around one of most beautiful cities in the world. This tour has it all, and is sure to be a day out to remember. Our ‘Sky to Sea’ bike tour has been our most popular route since our humble beginnings back in 2012. 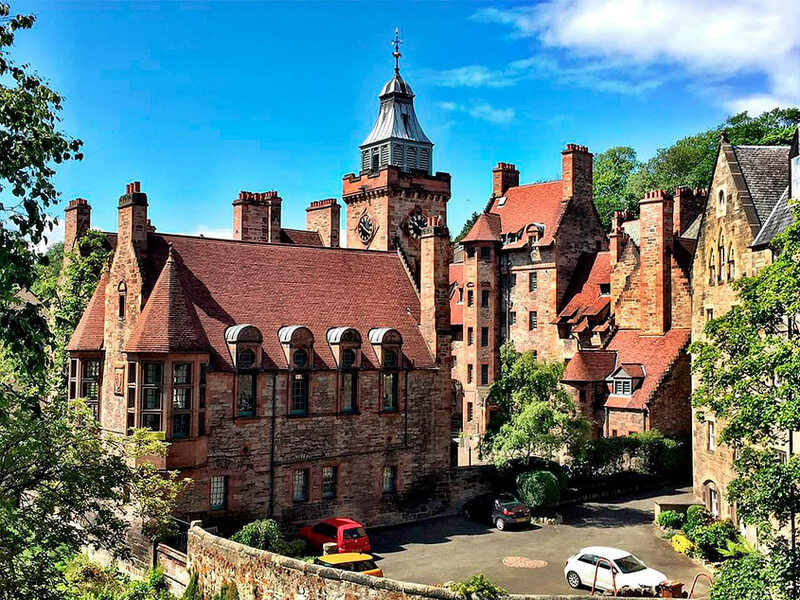 As the name suggests, this half day guided bike tour takes us to the highest and lowest points of Edinburgh accessible on tarmac. 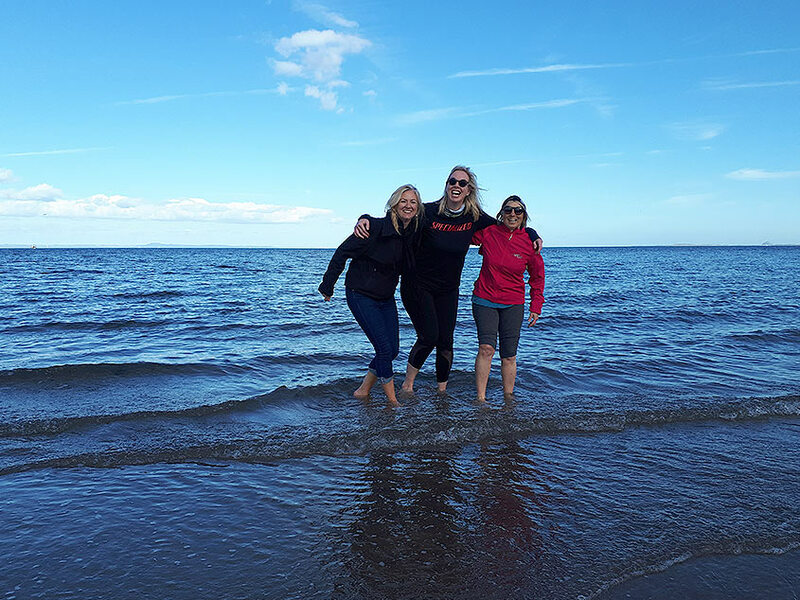 From our very own volcano, Arthur’s Seat, with its panoramic views across the city, to the golden sandy beaches and sea views at Portobello. We also pay a visit to the Port of Leith, with over 600 years of maritime history. 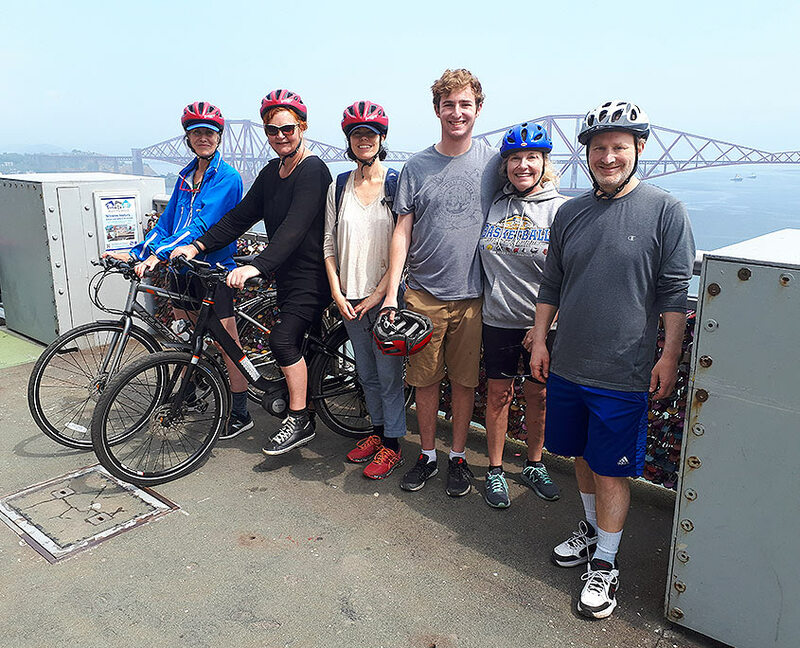 Our scenic Bridges bike tour takes us beyond Edinburgh’s city boundaries as we cycle along the Firth of Forth shoreline towards South Queensferry. This area is steeped in history with plenty of picturesque seaside charm. We learn about Edinburgh’s first iron age settlers and visit the site of a Roman fortress. We also cycle through the grounds of a Scottish country estate with its very own castle and stately home. Then marvel in the engineering of a UNESCO world heritage site as we cycle over the Forth Road Bridge.